Have you been diagnosed with stomach cancer? Are you currently in the middle of surgery, chemotherapy or other cancer treatment? Are you looking for natural remedies or information on natural support cures for stomach cancer to add to the protocol? Infection with H. pylori is the primary identified cause of stomach cancer. This bacteria lives in low acid environments and is poorly understood since over 30% of the population have it but do not display any symptoms or disease. Some theories suggest it is a natural part of the digestive flora. Naturopathically the integrity of the mucosal membranes through the digestive tract need nutritional and herbal support. 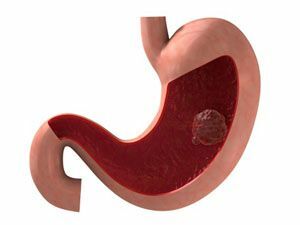 Depleted nutrients such as zinc, vitamin C and Vitamin A are often found with patients with Gastric cancer. Molybdenum is an essential element in human biochemical pathways as it is a cofactor in many enzyme reactions. Some research suggests that a deficiency in molybdenum may contribute to some forms of cancer, particularly stomach and oesophageal cancer. Molybdenum is one element used to treat copper overload in the body which in a chronic form is called Wilson’s disease. This also results in a reduction in Zinc status in the body, an essential nutrient for the repair of the stomach lining. A large, randomized study was completed in China where a very high rate of esophageal and stomach cancers exist. The study focused on just vitamin C and molybdenum with participants receiving none, one or both without knowledge. Interesting the soils in this area of China are deficient in molybdenum. It is hypothesized that this deficiency may have contributed to the increase in stomach cancers or of the oesophagus. Interestingly a follow up study showed that there were fewer deaths from stroke in people who had received the vitamin C and molybdenum, although no statistical significant reduction in cancer was found. One study published in 2008 examined people with malignant mesothelioma and used a form of molybdenum called tetrathiomolybdate. This form is not commonly prescribed by naturopaths in Australia. The findings found the subjects had an improvement in survival with both stage 1 or 2 mesothelioma, however did not help those with later stage cancer. Blot WJ, Li JY, Taylor PR, Guo W, Dawsey SM, Li B. The Linxian trials: mortality rates by vitamin-mineral intervention group. Am J Clin Nutr. 1995;62:1424S-1426S. Nakadaira H, Endoh K, Yamamoto M, Katoh K. Distribution of selenium and molybdenum and cancer mortality in Niigata, Japan. Arch Environ Health. 1995;50:374-380. Qiao YL, Dawsey SM, Kamangar F, et al. Total and cancer mortality after supplementation with vitamins and minerals: follow-up of the Linxian General Population Nutrition Intervention Trial. J Natl Cancer Inst. 2009;101:507-518..